Sous Vide sounds like something that only a qualified chef would be able to do properly. It is usually the case. But, thanks to technology, everything from cooking to transportation is becoming simpler and more advanced. That is the thought behind the Joule Sous Vide; making cooking easier through technology. Sous Vide is a form of cooking where you cook your food in plastic bags in a controlled temperature water bath. Once done, you simply sear it in a sizzling hot pan and you have the most succulent delicious steak, fish, poultry and others. 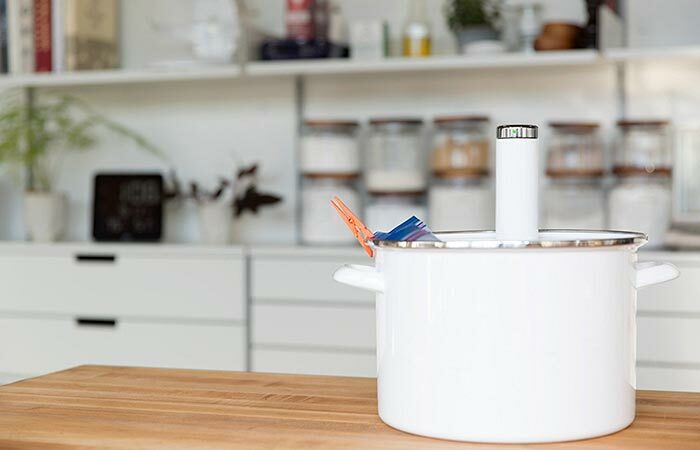 The Joule makes all of this super easy and will have you cooking delicious meals in no time. Simply place the Joule Sous Vide (pictured left) in a pot, add your meat in a ziplock freezer bag, and you’ll have perfectly succulent meat in no time. 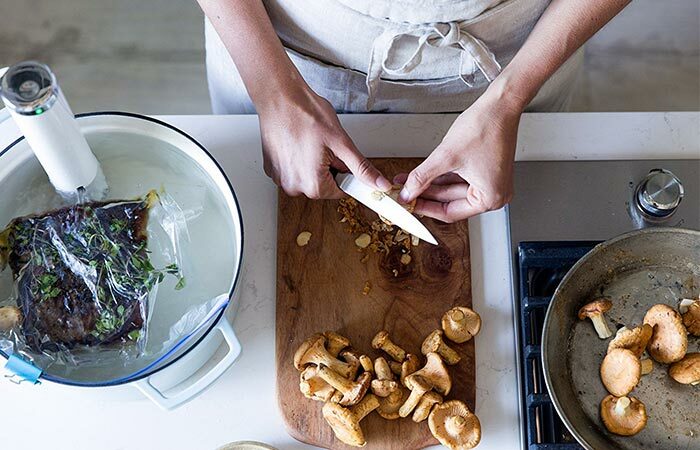 The Joule is one of the smallest and sleekest sous vide tools on the market. It is also exceptionally versatile. Measuring in at just 11 inches and 1.3 pounds, it is small enough to fit into your top drawer. It can also heat water at an impressively fast rates since this device delivers 1100 watts of power. It’s temperature control is also something to boast about with a sensitivity of 0.2 F / 0.1 C. Check out the video below. 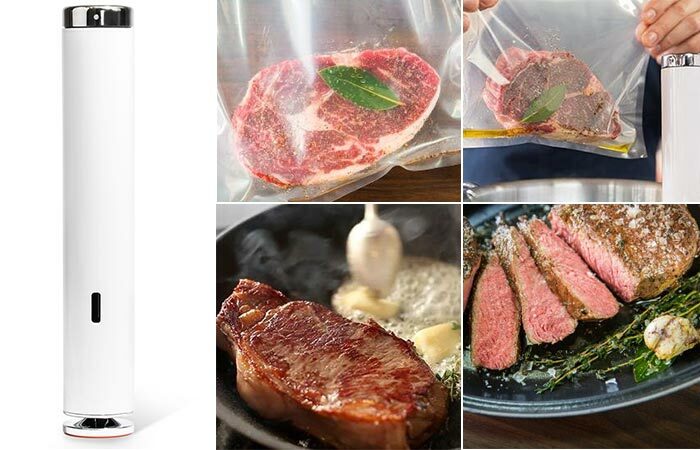 Simply heat up the Joule Sous Vide with your smartphone app to the perfect temp you want. Add meat into a plastic bag with your spices, place in the water, do the visual doneness test via the app, sear in a hot pan, and voila! In addition to this, the Joule can work in any side pot due to the magnetic base and side clip. It can be used in as little 1.5 inches of water up to 10 gallons. The best part is that there is no special equipment needed. Simply combine the smartphone app with Ziplock freezer bags and you are set to cook delicious meals in no time. The Joule Sous Vide can work in water as little as 1.5 inches, all the way up to, 10 gallons. It can also be controlled via Alexa voice control and it has a temperature accuracy of 0.2 degrees F.
The Joule can also be voice controlled with Amazon’s Alexa smart home system. It is truly reaching towards the kitchen of the future. Remember, every chef and household cook, needs a proper set of knives.